- Indoor and temperature controlled. - We provide all our cats with beds, comfy blankets, water, and food unless you prefer to bring your own food and belongings. *We may charge for food if cats won't eat our food or if they require a special diet. - We have playtime services available for our cats guests upon request. - Like our dog guests, we observe each cat's body functions and activities throughout the day which are then recorded by our trained pet care technicians. Potential problems are caught and treated early. All pet guests must have current immunization. For cats, they must have: FVRCP, Rabies, and Leukemia is recommended. - Just ask your vet to email us your vet records and we can update them for you before you arrive! - Our rates are charged on a nightly basis. Check out time is 12 noon on regular business days. Your cat is welcome to stay later for an additional day board fee. The day board fee is two dollars less than the nightly rate. - To avoid the day board fee, you can schedule a groom on the last day so your cat goes home shedding less and smelling great! Our cat groom prices are on our "Rates" page. Our cat condos are located in peaceful and separately located areas from their K9 friends. 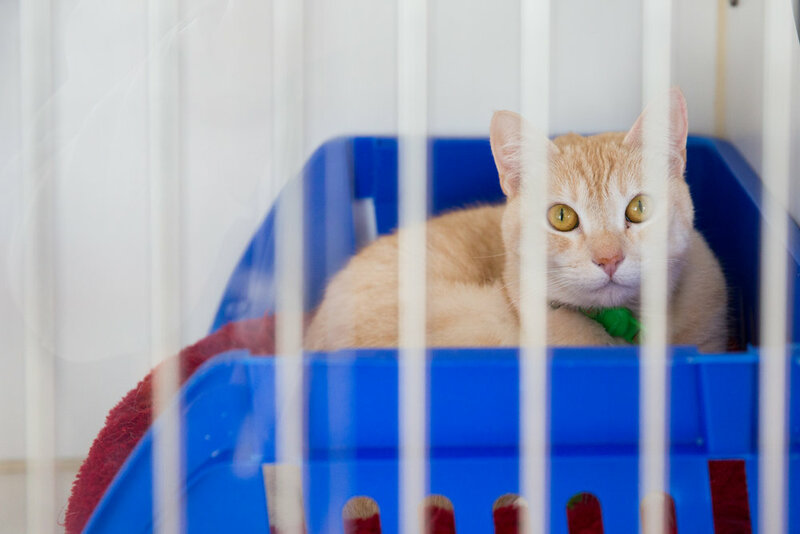 We provide all our cats with beds, comfy blankets, a litter box, water, and food unless you prefer to bring your own food and belongings. Playtimes with one-on-one interaction with a team member can be scheduled.